By admin , in Bulging Disc Disc Degeneration Herniated Disc Reasons of Back Pain on January 22, 2019 . The average person spends a third of their life in bed, 24 years based on the average human lifespan. Prioritising the quality of your sleep, and thus the quality of your bed, is critically important if you suffer from back pain. Purchasing an orthopedic bed would be a wise long-term investment. After switching to an orthopedic bed, many people realise their back pain was caused by sleeping in a shoddy, old, and uncomfortable bed. You might be wondering what an orthopedic bed actually is. An orthopedic bed is specially designed to support the back, joints, and the muscular skeletal body in general. An orthopedic differs from a standard bed because it can be manually or electronically adjusted to suit your needs. The electronic versions can be remote controlled, adjusting your bed with a remote control is both convenient and fun! Orthopedic beds are specifically designed to support the natural shape of the spine, working with your body, not against it. Sleep should be a time for recuperation, however, sleeping on a soft mattress can have the opposite effect, exacerbating your back pain and increasing your stress. The transition between sleep and wakefulness is the most stressful part of the day, cortisol levels are highest when we wake up, an aching back caused by a bad night’s sleep will make you feel even worse. An orthopedic bed will allow you to sleep well and recover from the physical and mental stresses accumulated during the day. 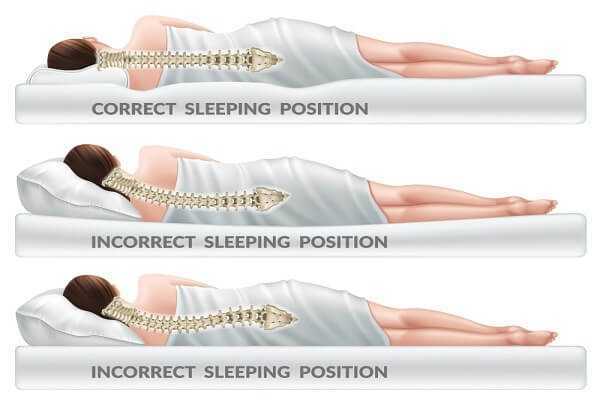 The spine needs to be supported in its natural double ‘S’ shape position, this alignment can be easily maintained on an orthopedic bed. The bed is tailored around the human spine, contouring to fill the space under the lower back, and providing firm support for the upper part of your back. From a comfort point of view, orthopedic beds are unparallelled, since the bed molds around the natural shape of your spine. After sleeping in an orthopedic bed, I can guarantee you will not want to return to a standard bed. The feeling of being refreshed after a good night’s sleep is simply priceless. By sleeping in an orthopedic bed, you will prevent backache and back pain in the short term, and prevent the development of more serious back problems in the long term. The conventional spring mattress loses its firmness in 3-5 years. An orthopedic mattress will last considerably longer, between 10 and 20 years. The initial investment may be heavy, but you could easily recoup your investment in the long term because you will not need to buy a new mattress every 5 years. When you add this to the priceless benefits of optimal comfort, the wonders of sound sleep, and no back pain, the price of an orthopedic bed is cheap! My sleep has improved immensely since acquiring an orthopedic bed, my back no longer aches when I wake up, and I feel revitalised. I would recommend an orthopedic bed to anyone, especially if you have a back complaint.